The holiday season is the most wonderful time of the year. Warming up inside after building a snowman with your family, being surrounded by the smells of pine and cinnamon while watching the snowfall from the warmth of your home all while sipping on your favourite holiday beverage. The team at Forest Lakes has put together a list of some of our favourite seasonal drinks for you to serve and enjoy with your loved ones whether you’re coming inside with rosy cheeks, or catching up with old friends during the holidays, these warm beverages are sure to please. Countryside Cravings dark chocolate hot cocoa mix is a must, with the smooth richness of irresistible chocolate and easy to follow instructions, this will be your number one go-to cocoa recipe this year. Combine all ingredients in a food processor and blend until powdery. Heat one cup of milk in a saucepan until it starts to simmer. Add in 4 tablespoons of hot cocoa mix and whisk until well combined. Pour into a mug and top with any desired toppings. Tip: You can keep this in your cupboard for up to three months, perfect to have on hard for the cold winter season. We love topping this rich cup of hot chocolate with mini marshmallows and chocolate sprinkles. 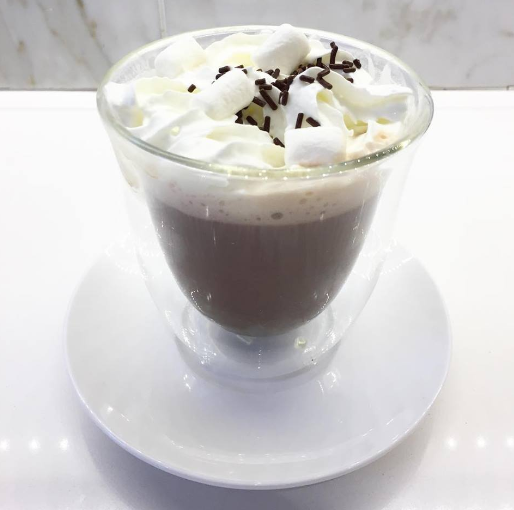 This chocolate-y cup of goodness is one the whole family can enjoy while sitting around the fireplace after an afternoon of playing in the snow. 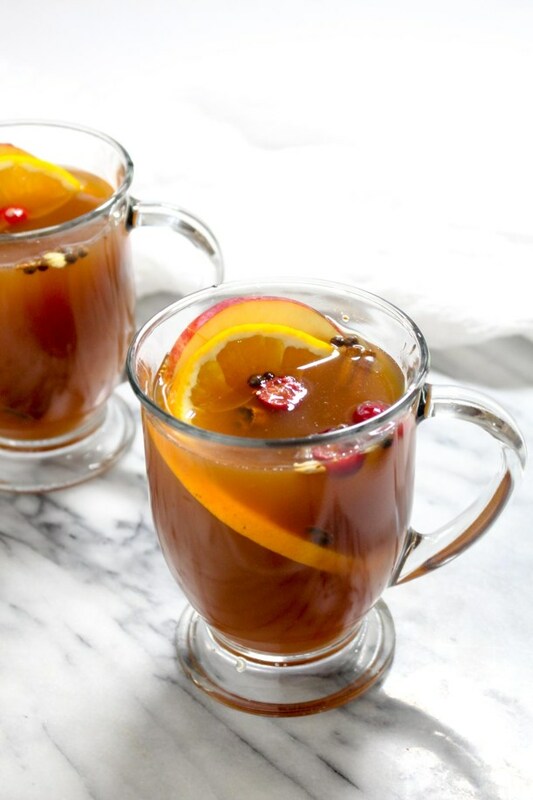 Hot apple cider is the perfect blend of spice and citrus all the while making your home smell like the holidays. While there are many options to choose from, our favourite is Catching Seeds hot spiced apple cider. Add all the ingredients into a large pot. Bring to a simmer and cover. Simmer for 10-15 minutes. Serve. Tip: For an “adult only” version of the warm winter drink add a splash of Still Fired granny’s apple pie moonshine to feel some extra heat from this fragrant treat. This favourite will be the talk of the holiday parties this winter season. Entertaining the entire family? You can make an additional pot with extra oranges and cinnamon sticks for the kids. There’s nothing more comforting than cookies and coffee, this delicious beverage combines the essence of a snickerdoodle cookie with a hot cup of joe. Read on below, for a peek at our favourite cookie flavoured drink! You can find this recipe from House of Yumm. Tip: Serve with a cinnamon stick for festive aesthetics. 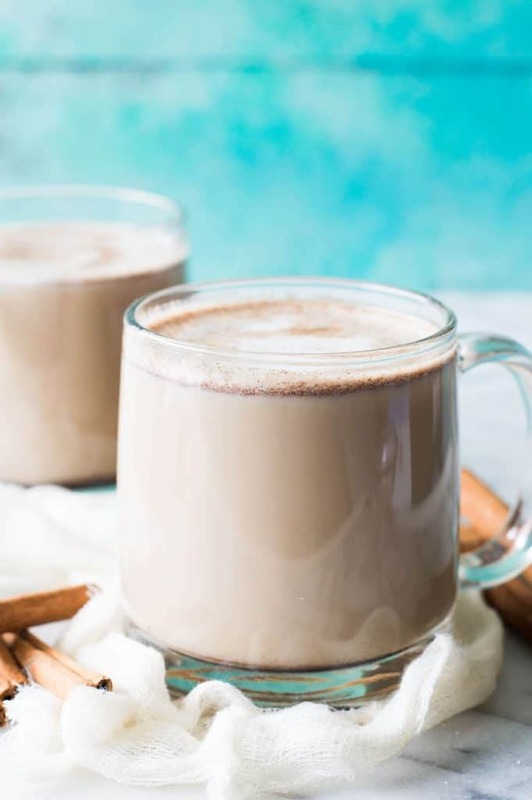 If you’re looking for a healthy alternative to Eggnog this season, Flavilicious Fitness has the perfect dairy-free recipe for this popular holiday beverage. Pour mixture into a pot and simmer for 15 min but do not let it boil. Serve in mugs with a sprinkle of cinnamon on top. Tip: This seasonal favourite is perfect for the entire family, but if you’re looking for some additional spice, grown-ups can add in some Ironworks Distillery amber rum to add a little holiday kick. 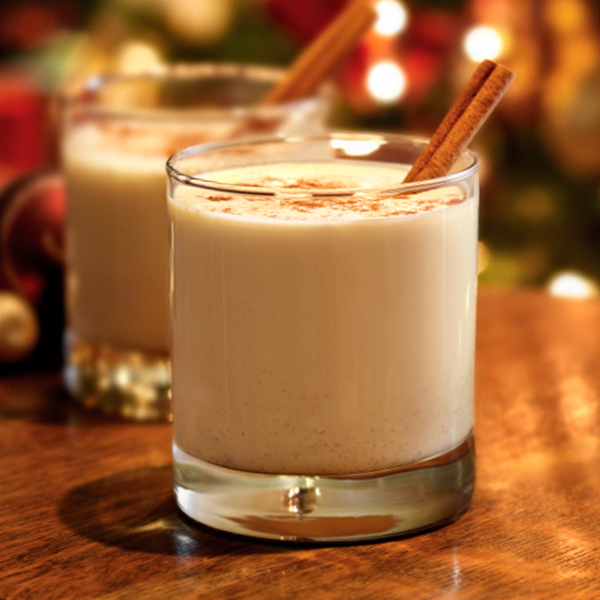 We hope you enjoy these holiday beverages as much as we do! Looking to be extra festive? Find a holiday mug for each member of your family and pour, serve, and enjoy! These seasonal recipes will keep the holiday cheer going all winter long.